What's On the Horizon For Brock Lesnar? Brock Lesnar sent the WWE Universe into a chorus of delirium during Tuesday night's SportsCenter and in the process, made WrestleMania 31's main-event far more incalculable than anybody could have imagined. Following months of speculation and an astronimical buzz neighbouring the reigning WWE World Heavyweight Champion, "The Beast" put an end to all that deliberation on ESPN: "I'm here to say my legacy in the Octagon is over. I re-signed last night with the WWE." It was a thunderous statement in which shook the foundations of both the octagon and the squared circle—the latter of which instantaneously sparked discussion on what the future holds. That "future" starts on Sunday night in Santa Clara. Not long after Brock Lesnar shocked the World by ending the Undertaker's 21-0 unbeaten streak at WrestleMania 30, one name continued to crop up as the man to oust him from the throne. That of course was Roman Reigns. In the interview, Brock Lesnar talked about the length it took him to make the decision. Potentially fuelled on avenging himself after two brutal losses to end his UFC tenure, he needed to pull himself away from that. Frank Mir will be disappointed, and may mix things up as he wishes, but a third fight between those two definitely won't be happening. There were dream matches and big-money fights on the horizon if he returned, but ultimately, they wouldn't benefit Lesnar himself too much. He said it best, what's in it for him? When the WWE came knocking with an irresistible offer, they also opened the door to a future crammed with star-studded matches. One of the biggest matches linked with Brock Lesnar is a colossal showdown with Dwayne "The Rock" Johnson. According to multiple reports, this match would have originally been slated for WrestleMania 30, but due to complications from an injury sustained by The Rock in which forced him out of the Raw after WrestleMania 29, the match wouldn't come into fruition - then. But now, WrestleMania 32 surely is the place to do it. In front of a possibly record-breaking 100,000+ in Dallas, this will be the ultimate showdown between two of the biggest stars to ever brace the ring. It would work well too, since WWE fans are already well aware of The Rock's affiliation with and support for Roman Reigns. The Brahma Bull could avenge Reigns loss or could save him if Lesnar attacks him on Raw. That quite literally, would sell out the AT&T Stadium in the blink of an eye. But before that, there's a lot for Brock Lesnar to do. WWE could still shock us all and give Roman Reigns the victory. Even then, Brock Lesnar without the title would be a credible force, but is Reigns the right man to beat him? If this question was asked half-a-decade later, it would be a yes. For now though, Brock Lesnar keeping the title would be ideal to squeeze all the value out of him. Since he won the titles at SummerSlam, he has not defended it at every special event, but WWE have hardly suffered either. In addition, with the midcard titles expected to take a step up, that would certainly fill the void. 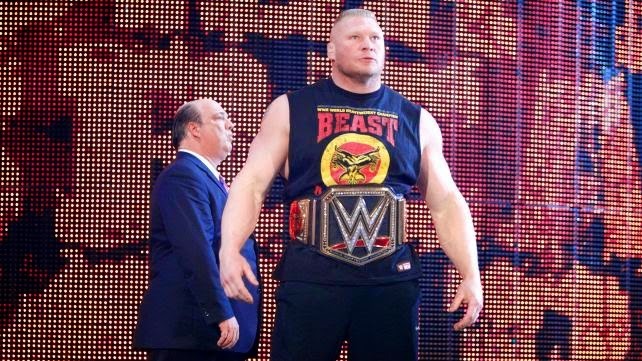 There has also been a hint of rumours of WWE's intentions to make Brock Lesnar's reign the longest in the modern era. To equal that feat, he'll need to remain champion until late October for the Hell in a Cell event, and that night will mark his 434th day as Champion—equalling CM Punk. But by that time, another WrestleMania would be round the corner, so if this is the way WWE are going about things, it will only be fitting for him to exit on the grand stage. One factor contradicts this, however. Seth Rollins currently holds the Money in the Bank contract, so breaking Lesnar's near 9-month reign will not allow him to break the record and he will need to hold it past WrestleMania 33. That's all speculation though, what isn't as such is the other rivalries. Randy Orton is another superstar Lesnar must cross paths with in the time he has left with the company. WWE teased it late last year when John Cena and Randy Orton went at it for No.1 contendership. WWE may hold it up for a summer spectacular. Daniel Bryan would create a superb match with Brock Lesnar too. Then there could be an Undertaker rematch before we even mention the younger talents, like Kevin Owens from NXT. The possibilities in Lesnar's future are phenomenal. Don't forget this is a MULTI-YEAR contract that could run past 2016, thus opening the door for a potential bout with Kevin Owens. While he won't re-enter the cage again, he will step foot in the ring a few more times and those will surely be special. Either way, he'll attract millions of fans around the World. At the start of the Road to WrestleMania, this seemed like the road to Lesnar's final WWE stint. Now, with just days away until the grandest stage of them all, the Beast's reign of dominance may have only just begun. TheSportMatrix • We Live For Sport: What's On the Horizon For Brock Lesnar? 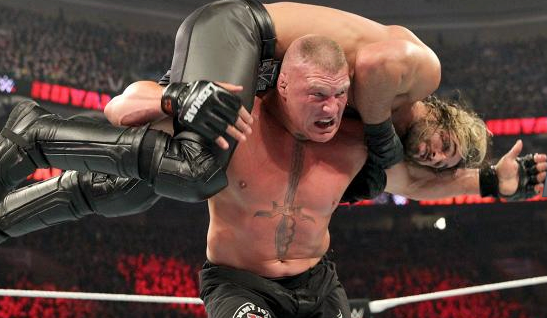 After he committed to the WWE, what's next for Brock Lesnar?